Pilgrim is something like a combination of a bookmarklet and web-crawler. 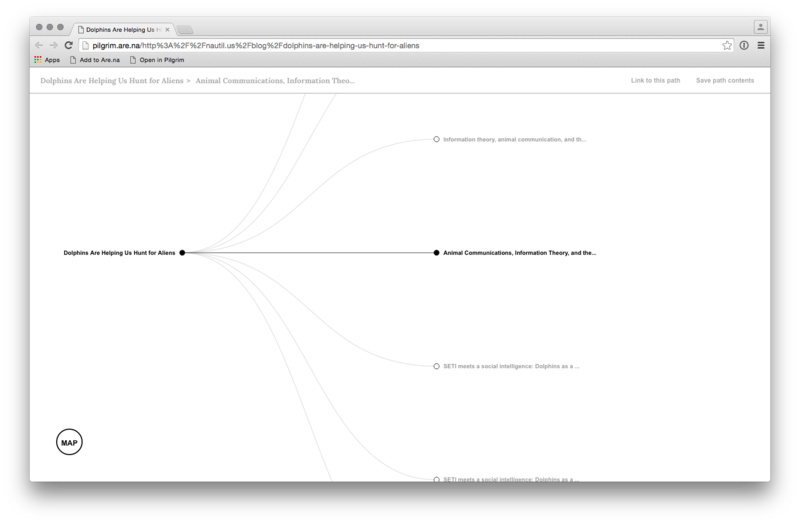 It provides a better experience for consuming long-form text and exploring related materials on the web. 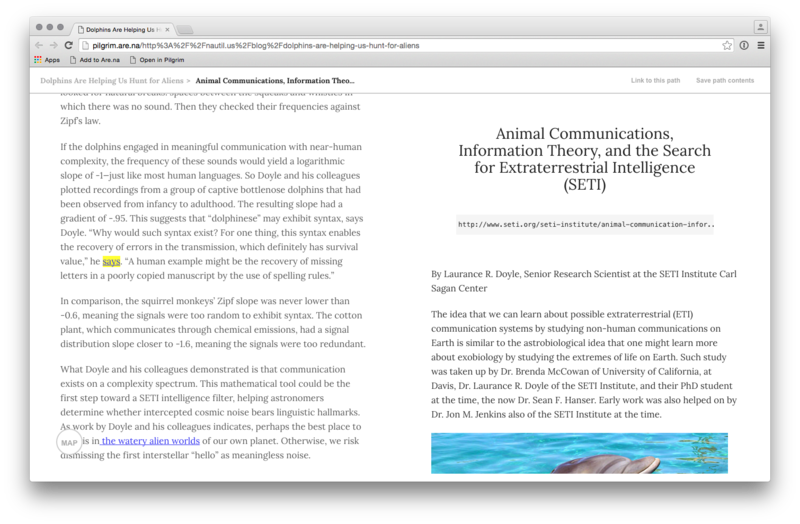 It works by extracting the content of an article, and loading any links clicked inline on the page. As you go deeper into supplemental material, your path is maintained, giving one a better sense of where the relevant information flows. Pilgrim is an experiment and an ongoing work in progress. Please, by all means, leave us some feedback.